Group litigation has been available in the English2 courts for over a century and is an established part of modern English civil procedure, with several significant cases passing through the courts each year.3 However, it is only in the past two years that true ‘opt-out class actions’,4 as lawyers from the United States (US) would recognise them, have become available; and only then in the context of certain competition law claims. The English system, therefore, remains markedly different to more developed jurisdictions, but it is likely that future advEngland &amp; Walesances both in terms of civil procedure and the class action market more generally (e.g., third-party funding, development of the claimant bar) will result in a degree of convergence. The past 12 months have seen several further significant developments in relation to class and group actions. The very first cases under the new ‘opt-out’ class action procedure in competition cases have now been scrutinised by English courts, and the outcome of this judicial treatment is now described in greater detail. Pride Mobility is a distributor of mobility scooters that was found by the Office of Fair Trading (OFT) to have infringed the Competition Act 1998 (CA). Pride Mobility reached an agreement that several retailers would not advertise particular scooters online at a price below Pride Mobility’s recommended retail price. The OFT’s decision did not impose a penalty on Pride Mobility. A follow-on claim was brought by the National Pensioners’ Convention on behalf of a class of approximately 30,000 people and was England’s first ‘opt-out’ collective action. The Competition Appeal Tribunal (CAT) heard the Collective Proceedings (CP) application between 12 and 14 December 2016. On 31 March 2017, the CAT determined that proceedings should be adjourned on the grounds that the claimants had failed to identify a head of common issues, thereby failing to adequately establish a class. The claimants declined to attempt to reformulate the proposed class, and the claim was withdrawn. Despite falling at the first hurdle, England’s first opt-out collective action does not necessarily indicate that the court will follow a narrow interpretation when determining class but instead suggests that on the particular facts, the court was sceptical as to commonality of interests. That said, as described in further detail below, it does appear that what limited jurisprudence there is may make identifying a very large class difficult, as a practical matter. Filed on 8 September 2016 with the CAT, MasterCard was similarly a follow-on claim brought under the new ‘opt-out’ CP regime, following from the European Commission’s finding that MasterCard had infringed EU competition law as a result of interchange fees on transactions between 1992 and 2007. The case was brought by the former Chief Ombudsman of the Financial Ombudsman Service and was valued by the claimants’ lawyers at £14 billion, making it the largest claim heard in England to date. In July 2017, the CAT refused to grant a collective proceedings order (CPO) on the basis that expert evidence adduced at the certification stage failed to demonstrate a commonality of interest owing to the fact it could not be determined how much of the loss had been passed through to each proposed claimant. MasterCard is, therefore, the second of the CP cases tabled in England that has failed to proceed beyond the certification stage. Following the CAT’s ruling, the claimant representative sought permission from the CAT to appeal to the Court of Appeal. However, the application was dismissed in September 2017 on the basis that there was no jurisdiction to appeal a decision to approve or refuse a CPO under Section 49 CA. The claimant representative subsequently sought – and obtained – permission to appeal from the Court of Appeal and at the same time filed an application to the Administrative Court of the High Court for a judicial review of the CAT’s decision. The Court of Appeal has decided to set a hearing for both applications. Interestingly, the composition of the court will be two-fold; judges will sit both as the Court of Appeal and as the Administrative Court. At the time of writing, the court has not set a date for this hearing. Although the challenges experienced in both Pride Mobility and MasterCard are in part because of the complexity of issues raised in the claim, the respective judgments do not suggest (at least at a theoretical level) an overly strict stance being adopted by the CAT. In particular, the CAT indicated that it did not require all significant issues to be deemed common issues for a claim to be suitable for a CPO, something that could be important in future litigation, and seems to contemplate large scale class actions. Nonetheless, how this plays out in practice in future cases is still to be determined. Arguably, the experiences of claims under the CP regime to date are illustrative of the safeguarding role CPO applications were intended to have in protecting defendants against frivolous and unmeritorious claims, as opposed to setting any more general precedent. MasterCard also demonstrated the opportunities provided by third-party litigation funding, with over £40 million of funding having been made available to the claimants. This and similar actions would seem unfeasible without such an arrangement. Not only has this case helped elucidate the CAT’s approach to opt-out CP actions (or opt-out actions) in what is a very new area of the law, but it may also be a precursor for subsequent large-scale class actions. Even the early stages of this action would have been unfeasible without such an arrangement. The past year has been relatively subdued in respect of the group action regime in England. The RBS litigation,7 brought by investors who incurred losses by subscribing for shares in RBS’s 2008 rights issue, continues; however, there is now only a very small rump of the litigation in play following most claimant groups settling, as described in greater detail below. In RBS, it is alleged that the bank misrepresented its financial position in the rights issue prospectus; when the bank subsequently collapsed and was taken into public ownership, shareholders suffered aggregate losses valued in the billions of pounds. Individual claimants (of whom there were many thousands, ranging from individual retail investors to large pension funds) banded together in six different claimant groups, each advised by different solicitors and counsel. All claims were managed pursuant to a group litigation order (GLO) that was made on 17 September 2013. For reasons of proportionality and efficiency, the different claimant groups agreed between themselves to divide up the case and each focus on particular areas. The trial was listed to begin in March 2017, but in December 2016 it was announced that four claimant groups (representing larger and institutional investors) had settled their claims for a reported figure of approximately £800 million. Further claimant groups have subsequently settled, and, as matters stand, approximately 87 per cent of the claimants by value have entered into settlement agreements proposed by RBS.8 Pursuant to a consent order issued by the High Court on 8 June 2017, all claims that had not been subject to an application for a further case management conference by 28 July 2017 were stayed. It is, therefore, very unlikely that the matter will continue to trial. Nevertheless, this case is a demonstration of how the group litigation regime promotes settlement between parties. It may also provide warnings to claimant groups regarding the strategy used in bringing such an action. Given that the different elements of the claim were divided among the claimant groups, once the first groups settled, significant pressure was placed on the remaining groups to do likewise. There have also recently been three large GLO applications. First, an application was lodged with the High Court on 31 October 2016 against Tesco on behalf of over 100 institutional investors for approximately £100 million. The claim was in relation to Tesco’s accounting scandal in September 2014, and the resulting alleged breaches of Section 90A Financial Services and Markets Act 2000 (FSMA). As matters stand, the claim is in the preliminary stages and the earliest date for trial is currently listed as 1 May 2020. The second was against Volkswagen and stemmed from the diesel engine emissions scandal. It was filed with the High Court at the beginning of January 2017 on behalf of a group of 10,000 Volkswagen owners seeking £30 million in collective damages.9 Further marketing to potential claimants is continuing, and the claimant group has now increased to almost 60,00010 of a potential 1.2 million motorists.11 Seven claims under a GLO were also made against Lloyds Banking Group and five of its former directors on behalf of nearly 6,000 claimants.12 The claimant groups argue that a number of omissions and misstatements were made to shareholders regarding Lloyd’s acquisition of Halifax Bank of Scotland Plc and its participation in the government’s recapitalisation scheme during the course of 2008 and 2009. The trial concluded in March 2018. There continues to be significant growth in the English litigation funding market. Historically, the funding of litigation by third parties with no interest in the cause of action (a practice known as maintenance) was prohibited. The provision of funding in return for a share of sums recovered (known as champerty) was, a fortiori, banned. Champerty and maintenance ceased to be criminal offences decades ago,13 but it is only in the relatively recent past that reforms intended to facilitate access to justice have spurred the development of a litigation funding market. Substantive developments in securities and competition law assisted in the establishment of that market. Procedural changes, most notably the new Consumer Rights Act 2015 (CRA) collective proceedings regime,14 are likely to accelerate growth in the sector. Professional litigation funders, including new market entrants from the US and Australia, now offer a diverse range of funding options for different types of litigant (or potential litigant) and access to deeper pools of investment capital. With regards to the older regimes, the Civil Procedure Rules17 (CPR) set out both representative actions18 and proceedings where GLOs are sought.19 Representative actions and proceedings where GLOs are sought share a number of similarities. For instance, they are both opt-in regimes, require a representative or lead claimant, and unlike a CP, can be utilised for any type of action. Proceedings for GLOs, introduced more recently in 2000, have, however, become the more favourable of the two, due to the simpler procedure and lower standard of commonality required between the class members. In contrast, the new opt-out regime applies at the moment solely to the competition sphere. Prior to this, there had been a specific opt-in procedure for private competition law claims, though this was deemed to have been too restrictive in scope.20 Given the nature of competition law claims, namely where the loss to the individual is small but over a very wide class, the new regime seeks to provide the collective redress that is considered imperative for effective rectification. Efforts have been made to introduce similar collective redress mechanisms to other sectors. For example, an amendment to the Data Protection Bill sought to apply the opt-out class action regime to data breaches. This amendment, however, was rejected by the upper house of parliament on 22 November 2017. Despite its limited current application, and the lack of headway made at present in extending the scope of the regime, the new CRA regime remains of particular interest as it may possibly be a harbinger of future broader, or sector-specific, changes to class actions in England. the representative and the represented parties all have ‘the same interest’ in a claim. Whether the parties are deemed to have ‘the same interest’ in a claim might appear to be a narrow and restrictive concept. However, over time the boundaries of the interpretation of the requirement have been tested. Emerald Supplies Ltd v. British Airways plc  EWCA Civ 1284 provided a detailed analysis of the requirements for a representative action.25 It was noted that the class must have a common interest or grievance and seek relief that is beneficial to all. It did not matter whether the class fluctuated, so long as at all points it was possible to determine class membership qualification. However, the attempt in this case to use the representative action as a proxy for an opt-out class action failed because of the inevitable conflicts within the claimant ‘class’ sought to be represented, which was drawn so widely that it was described by the court as fatally flawed. In particular, the court found that the same interest could not be said to be present as the sheer breadth of the class meant it was impossible to identify which members had the same interest. Furthermore, the overriding objective is important too in shaping its application. Concepts similar to proportionality can be distilled from the case law. Although the CPR appears to require an identical interest,26 Megarry J stated that ‘the rule is to be treated as being not a rigid matter of principle but a flexible tool of convenience in the administration of justice’.27 In light of the requirements for the court to consider the overriding objective, particularly that the dispute is dealt with ‘expeditiously and fairly’,28 the representative action regime continues to provide significant potential for effectively bringing a group action. Proceedings that seek GLOs are an opt-in mechanism and requires the individual to have first brought his or her own claim in order to be entered upon the group register.29 They are similarly premised on the notion that where there are similar facts and issues to be resolved, it is more efficient that these are dealt with collectively. Given the costs inherent in litigation, such efficiencies have enabled claimants to recover losses previously unobtainable. It is important to distinguish, however, between instances where the determination of a single issue is common to all the claims, and on the other hand, where a defendant is liable to numerous claimants but each is separate as to liability and quantum. Where there are no such generic issues, ‘nor generic issues of such materiality as to save costs in their determination’,30 a GLO will not be granted and the individual must litigate separately. Court consent is required for a GLO, which may be obtained if the claimant can show that there are ‘common or related issues of fact or law’.31 Nonetheless, the court has discretion in granting the order.32 There is no guidance as to how this discretion is to be exercised,33 though the overriding objective would still be applicable. Similarly, consideration must be given as well to whether a representative action would be more appropriate,34 namely when the interests and issues of the parties are the same. It must be noted, however, that broadly the requirements of a GLO have not proven difficult to meet.35 This is in part because the standard of commonality is lower; the interests do not for instance need to be identical. There are no special requirements for a GLO application,36 though the applicant should both consider the preliminary steps37 and ensure that his or her application contains the prescribed general information.38 As part of this information, the applicant must provide details relating to the ‘GLO issues’ in the litigation. It is important that these GLO issues are defined carefully, given that the judgments made in relation to the GLO issues will bind the parties on the claim’s group register.39 Nevertheless, the court may give directions40 as to the extent to which that judgment is binding on the parties that were subsequently added to the group register. Once a GLO is granted, a deadline is set by which time the claimants must have been added to the group register. GLOs have not, however, proved especially popular to date. Since the introduction of the GLO procedure in 2000, there have so far only been fewer than 100 GLOs ordered. Whether the increased availability of funding for these types of claims will lead to an increase remains to be seen. The most significant recent change was the CRA that came into effect in October 2015. Schedule 8 introduced changes to the competition law class actions regime under Section 47A of the CA. While a CP is limited solely to competition actions before the CAT, it is notable for two reasons. First, it is currently the only opt-out class action regime in England, and second, it is a possible indicator of changes to come more broadly to English class actions. While claimants already have the right to bring collective actions41 as detailed above, these were perceived as insufficient to address the harm caused to both direct and indirect purchasers. There are three sources that set out the procedure for obtaining CPOs: these are the CRA Schedule 8, the Competition Appeal Tribunal Rules 2015 (the CAT Rules) and the CAT Guide to Proceedings 2015 (the CAT Guide). Notwithstanding the fact that CPOs were introduced under the Consumer Rights Act, both individuals and businesses can apply for a CPO. The reforms also widened the types of claims that the CAT could hear. The CAT had previously been restricted to hearing ‘follow-on’ claims, while CPs can be either ‘follow-on’ or ‘stand-alone’. A follow-on claim is one where a breach of competition law has already been determined by a court or authority such as the OFT or the European Commission. With breach already having been established, the claimants are only required to show that the breach caused them loss. In contrast, a stand-alone claim is one where there is no prior decision by either body upon which the claimant can rely and must therefore prove breach before the CAT as well. Similar to proceedings for a GLO, a CP requires certification to proceed, in this instance from the CAT. This mechanism works to remove frivolous or unmeritorious claims and enables the CAT to determine the representative, class definitions and whether it is to be on an opt-in or opt-out basis. Section 47B CA and Rule 79 of the CAT Rules 2015 detail the requirements that must be met for the CAT to make a CPO. Principally, the Tribunal must determine that ‘they raise the same, similar or related issues of fact or law’,42 and that a collective proceeding would be appropriate based upon a preliminary assessment of the merits and available alternative regimes.43 How the CAT determines the representatives, the classes (and sub-classes), and whether it is to be an opt-out action, will be fundamental to the CP’s operation, reach and success.44 The limited case law under the new regime fails to give definitive guidance on how the CAT will exercise its discretion. Nonetheless, as noted above, the judgments in the Pride Mobility hearing and Mastercard hearing indicate, at least in principle, that the CAT may be willing to adopt a relatively flexible approach to the eligibility and representative criterion, particularly regarding the delineation of classes (and sub-classes). However, this must be set against the fact that both of these cases failed to satisfy the hurdles identified by the CAT. Upon certifying the class in an opt-out action, all members falling within the definition will automatically become part of the action unless they opt-out before the end of the designated time period. However, this will only apply automatically to members domiciled within the UK. Non-UK domiciled claimants can still be a member of the class, though they will have to actively opt-in before the end of the specified time period. Given the breadth of the class or group action mechanisms in England, generalities regarding the process of such actions are difficult to discern. For example, with liability and quantum, these may be split depending on the type of claim that is brought, though in other instances such as in follow-on claims, breach need not even be assessed. The same can be said for assessing the speed at which class actions progress. As regards CPs, it is impossible at present to determine the rate at which these are to progress given how recently they have become available and the preliminary stages cases under the new CRA regime have reached.51 Proceedings for GLOs and representative actions will also by their nature be context specific. Since GLOs have recently been used for notable, complex securities claims, some of which have already seen significant settlements,52 they may not provide a good benchmark from which to assess the speed and potential efficiencies of such a group action mechanism. The general rules on costs are detailed at CPR 44. This provides discretion as to the award, amount and timing of payment for costs. 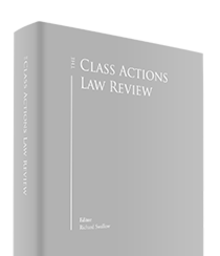 Given that the unsuccessful party will ordinarily be ordered to pay the other side’s costs, unmeritorious class actions have traditionally been restrained. This is particularly in light of the significant costs inherent in class actions given their size and complexity. There is also the added complication of how costs are to be split between the constituent members of the class. For representative actions, as the represented individuals are not parties to the action, they are not individually liable for costs. The court may nevertheless accept an application for costs to be paid by the representees.54 There are also specific costs rules in the CPR for proceedings governed by GLOs. The default position is that group litigants are severally, and not jointly, liable for an equal proportion of the common costs.55 In RBS however, the court decided at a Case Management Conference in December 2013 that adverse costs should be shared on a several basis in proportion to the size of the individual’s subscription cost in the rights issue relative to the total subscription cost for all the claimants on the group register. With the growth in after-the-event (ATE) insurance and third-party litigation funding, the costs risk may, however, become less pronounced. Nevertheless, the risk is still a considerable factor in determining whether and how a class action is brought. Indeed, the arrangement of ATE insurance is often considered alongside, and of equal importance to, the litigation funding arrangements.56 Specific to opt-out CPs, damages-based agreements57 (DBA) are prohibited: there are no such restrictions for proceedings governed by GLOs or representative actions.58 Therefore, for an opt-out CP to be successful, it will be increasingly likely that it will be dependent upon third-party funding being obtained. One of the notable differences between civil actions in England and certain other jurisdictions, particularly the US, is that there are no jury trials in English civil actions. This difference becomes apparent with quantum as English class action damages are typically much lower than in the US. The two CPO applications that have so far been brought, in particular MasterCard valued by the claimants at £14 billion, indicate the potentially significant damages that could be awarded. The sums that are potentially at stake will also be likely to provide a useful bargaining tool for claimants seeking to settle their claims instead of pursuing protracted litigation. In common with other jurisdictions, there is often a significant and mutual impetus for claimants and defendants to settle class actions out of court. In some instances, such as in securities litigation under Section 90 FSMA, where the cause of action has not been frequently litigated, the absence of clear precedent may encourage the parties to settle to avoid uncertainty. With regard specifically to follow-on actions, since breach will have already been determined, the dispute will likely focus on the issues of causation and quantum. However, this can still be a complex and expensive process and defendants may therefore consider it more economical to settle out of court. As noted, it is increasingly likely that third-party litigation funding will take a larger role in English class and group action litigation. The consequences could be significant, opening up new claimants, types and scales of litigation to class and group actions not previously seen before. Third-party litigation funding also introduces a new dynamic when considering and negotiating settlement: although professional funders are legally prohibited from exercising control over the litigation they fund, the manner in which many funding packages are structured (with the cost of funds effectively increasing the longer a case progresses) may incentivise claimants to give fuller consideration to compromising actions pretrial. Unlike in some other jurisdictions (notably the United States), settlements in GLO and representative actions do not require court approval, though admissible settlement attempts may still have an impact upon the court’s allocation of costs as between the parties if a settlement is not reached. The CPR do not, however, contain any explicit guidance on how any settlement negotiations or agreements are to be managed. In contrast, the CA contains provisions, implemented by the CRA, for a collective settlement scheme.66 Once a collective proceedings order has been made and proceedings are authorised to continue on an opt-out basis, claims may only be settled by way of a collective settlement approved by the CAT. The proposed settlement must be presented to the CAT by the representative and the defendant of the collective proceedings. The settlement need not apply to all of the defendants in the proceedings, merely those that intend to be bound by it. The CAT, however, may only make an order approving the settlement where it deems the terms to be ‘just and reasonable’.67 If the time frame specified in the collective settlement approval order given by the CAT has expired, the collective settlement will be binding upon all those domiciled in the UK who fell within the CPO’s defined class and did not opt out, and those domiciled outside of the UK who otherwise fell within the defined class and opted in.68 CP opt-in proceedings are not subject to such requirements, although they cannot be settled without the CAT’s permission before the expiry of the time given in the CP for a class member to opt in to the proceedings. The potential success of the collective settlement scheme will, however, be closely tied to a claimant’s ability to use the collective action scheme. If the opt-out certification process proves to be unduly restrictive, the defendant will no longer be induced to settle. The residency provisions in the CRA may also present issues to the success of the collective settlement scheme.69 Defendants could be reluctant to pursue a collective settlement scheme since it does not automatically provide the ‘global’ settlement that they might be seeking, given non-UK domiciled individuals will need to opt in to any settlement.70 Nonetheless, certain other provisions may further promote settlement, for instance that any remaining unpaid damages are to be paid to charity.71 It, therefore, awaits to be seen how the collective settlement scheme is adopted. England is a popular forum for the resolution of disputes both domestic and international. The reasons for this include the sophistication and probity of English judges, the availability of lawyers and specialists in a range of fields, and perhaps above all, the pre-eminent place of English law in international commercial relations. However, in class action cases, many claimants have traditionally looked to the US to pursue relief. The Supreme Court’s decision in Morrison v. National Australia Bank,72 which effectively barred securities actions without a US nexus,73 has caused potential claimants, including institutional investors, to reappraise the situation. 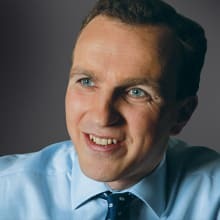 The advent of opt-in actions under the CA, which are open to claimants domiciled outside the UK, and the increasing availability of third-party litigation funding, in combination with the preexisting attractions of England as a forum, is likely to drive an increase in this kind of work in the English courts. The impact of the June 2016 ‘Brexit’ referendum result and the ongoing negotiations with the EU remains at the forefront of practitioners’ minds. EU law has a significant role with regards to class actions: (1) the Recast Brussels Regulation contains a framework for the allocation of intra-EU jurisdiction as well as provisions for the reciprocal enforcement of member state court judgments; and (2) a multitude of statutory claims, particularly in the area of securities law and financial regulation, are based on EU law.74 While the specific implications of Brexit are currently difficult to predict, the British government’s current proposal is to retain the existing legal framework, for at least a two year minimum period, following withdrawal from the EU in March 2019. Thereafter, Parliament will have an opportunity to reassess legislation on an individual basis. The avowed aim is continuity and stability, and it may be a number of years before any change in this area materialises. By way of practical example, even after the UK’s exit from the EU, key tenets of the EU competition regime will remain in effect because they are contained within the CA, a freestanding UK statute. Breaches of EU competition law in remaining EU Member States will remain actionable in England where an English court is willing to accept jurisdiction over a defendant. The law applicable to such disputes would be determined either according to rules analogous to the current regime75 or by reference to the formerly applicable, and substantively similar, UK rules.76 Thus, the outlook for the class action market in England remains positive, though it will still be an area to monitor as exit negotiations continue. As discussed above, any Brexit deal is something that will be of particular interest to English class action litigators. However, there are also a number of other forecasted developments to track in 2018 and onwards. Beginning with CPs, the outcome of the first CPO applications, which have failed to proceed beyond the certification stage, have done little to shed light on the willingness of the CAT to approve opt-out proceedings and how the CAT will shape the future of the CP regime. On a principle level at least, there may be cause to believe that the CAT may adopt a flexible approach to the opt-out procedure, which is promising for the future of the CRA regime as a means of obtaining collective redress. Such flexibility is most aptly demonstrated by the CAT’s approach in relation to eligibility whereby the CAT has indicated that not all significant issues are required to be common issues for a claim to be suitable for a CPO. However, further judicial consideration of CPs will be required before the long-term implications and potential success of the UK class actions regime can be fully understood. There is some recognition that not all significant issues in a claim must be common interests for a claim to be suitable for collective proceedings. In both Pride Mobility and MasterCard, it is possible to deduce a claimant-friendly approach to the CP process. The apparent flexibility adopted in relation to issues of eligibility whereby the CAT has indicated that not all significant issues are required to be common issues and representative criterion, alongside the willingness of the CAT to allow third-party funding of CPs, is promising for the future of the CRA regime as a means of obtaining collective redress. Further judicial consideration of CPs is required before the long-term implications and potential success of the UK class actions regime can be understood. There has also been considerable fervour regarding the growth of third-party litigation funding. While the home of such funding has been traditionally regarded as the US, the growth of the UK litigation funding market has been notable. The past year saw continued expansion of law-focused finance firms in London. Whether this continues, and how UK finance firms’ acquisitions fare, will be particularly important for an uptake in class actions. Time will tell whether the CRA reforms will continue to foster a liberalisation of the class action market, though commentators are generally of the view that the outlook for England to be an increasingly favourable jurisdiction is positive. 1 Richard Swallow is a partner and Peter Wickham is an associate in the dispute resolution group at Slaughter and May. The authors would like to thank Charlotte Eynon for her assistance in producing this chapter. 2 For convenience, ‘England’ and ‘England and Wales’ will be used interchangeably. 3 Representative actions can be traced back to the practice of the Court of Chancery. It was a requirement that all interested parties were to be present to end a dispute, though for the sake of convenience certain individuals of those who held similar interests would be selected to represent the group. See London Commissioners of Sewers v. Gellatly (1876) 3 Ch. D. 610, at 615 per Jessel M R.
4 An opt-out claim being a claim that can be brought on behalf of a defined group, irrespective of whether the exact members are known excluding parties that opt-out. In contrast, an opt-in action requires claimants to explicitly join the group to participate. As explained in greater detail below, it is also important to consider that opt-out proceedings are only available to a UK domiciled claimant, in contrast to opt-in proceedings, which are available to all. 5 Dorothy Gibson v. Pride Mobility Products Limited (Competition Appeal Tribunal, Case No. 1257/7/7/16), (Pride Mobility). 6 Walter Hugh Merricks CBE v. MasterCard Inc. and others (Case No. 1266/7/7/16), (MasterCard). 7 Re RBS (Rights Issue Litigation) in claims entered in the Group Register (HC-2013-000484), (RBS). 8 According to a procedural order issued by the High Court on 8 June 2017 FL-2017-000001. 12 According to a judgment issued by the Chancery Division of the High Court on 21 December 2017  EWHC 3390 (Ch). 13 Champerty was decriminalised by the Criminal Law Act 1967. Since then there have been efforts to provide appropriate mechanisms to increase access to justice, such as the introduction of CFAs and DBAs (see footnote 53). 14 Both Pride Mobility and MasterCard, current CPO applications with the CAT, are funded by third-party litigation funders. 15 This chapter shall only address the formal mechanisms that are available. Claimants sometimes consolidate individual claims on an ad hoc basis: these shall not be considered further. 16 Consumer Rights Act 2015, Schedule 8, Part 1. 17 English Civil Procedure is governed by the Civil Procedure Rules and supplementary Practice Directions (PD). These can be found, with commentaries and interim updates, in The White Book published by Sweet & Maxwell. 20 Department for Business, Innovation and Skills (BIS), Private Actions in Competition Law: A consultation on options for reform: Government Response, (January 2013), paragraph 5.12. Note also that under the previous regime there had only been one collective action: Consumers’ Association v. JJB Sports (1078/7/9/07). 21 It is set out in the Civil Procedure Rules (which provide for and apply to representative actions and group litigation orders) at CPR 1.1, and in the Competition Appeal Tribunal Rules 2015 (which apply to collective proceedings) at Rule 4. 22 CPR 19.6(4)(a). See too Howells v. Dominion Insurance Co Ltd  EWHC 552 (Admin). 23 Independiente Ltd v. Music Trading On-Line (HK) Ltd  EWHC 470 (Ch. ): the defendant’s application for a direction under CPR 19.6(2) to prevent the claimant acting as a representative was dismissed in part on the grounds that a representative may act without the representee’s authority as long as CPR 19.6(1) was fulfilled. 25 The claimants were unsuccessful in obtaining a representative action as the class was so wide that it was impossible to identify members before and possibly after the judgment, too. 27 John v. Rees and others  Ch. 345 at 370, per Megarry J. 29 CPR 19.11, PD 19B, paragraph 6.1A. 30 R v. The Number 8 Area Committee of the Legal Aid Board  P.I.Q.R. 476 at p. 480, per Popplewell J. 33 There is no guidance contained within CPR 19, nor the accompanying PDs. 34 PD 19B Paragraph 2.3(2). 35 This can be seen particularly in the recent actions brought under Section 90, FSMA. 36 The normal application procedure under CPR 23 should be used according to PD 19B Paragraph 3.1. 37 The preliminary steps are detailed at PD 19B Paragraph 2. 38 This information is contained at PD 19B Paragraph 3.2. 40 Pursuant to CPR 19.12(1)(b). 41 Under CPRs 19.6 and 19.11. 43 Rule 79(2), CAT Rules 2015. 44 Lawne, ‘Private enforcement and collective redress: A claimant perspective on the proposed BIS reforms’  Comp. Law 171. 45 CPR 19.13(e) and PD 19B.13. 46 Taylor v. Nugent Care Society  EWCA Civ 51. 47 Rule 79(2), CAT Rules. Rules 79(2)(a)–(g) give some guidance on the types of consideration that the CAT should have. 48 Rule 74(6), CAT Rules and paragraph 6.37, CAT Guide. 49 Rules 80(1)(c) and 82, CAT Rules. 50 Rule 85(4), CAT Rules. 51 In relation to the timing of CPOs, the CRA implemented changes to the limitation period, extending it from two to six years so as to be on a par with the High Court. 52 In RBS, the trial was delayed for four months until April 2017 owing to the complexity of the disclosure process. Significant settlements were also reached in December 2016, January 2017 and June 2017. 53 Rule 63, CAT Rules. 54 Howells v. Dominion Insurance Company Ltd  EWHC 552 (Admin). 55 CPR 46.6(3). Common costs are the costs incurred in relation to GLO issues, or individual costs in relation to a test claim. The individual will be liable for all of their other individual costs in the claim. 56 Examples, such as RBS, have demonstrated either the difficulties in obtaining ATE insurance, or the influence that it has on the handling of the case. Securities class actions by way of an example are ordinarily relatively cheap for the claimant to bring in the early stages of the claim. However, during later stages of the litigation, particularly if other claimant groups have already settled, the adverse liability risks can be hugely important in determining the ongoing strategy. 57 Historically, all contingency fee arrangements (CFAs) were unlawful in English law. Changes began however when CFAs were introduced in the 1980s which allowed for a legal representative to be paid different amounts depending on the outcome of the case. DBAs were later introduced in 2013 and are allowed in certain civil actions. It is essentially a ‘no win-no fee’ agreement between a client and their legal representative, which will require the client to make a payment to the representative out of any damages awarded from the losing party up to the statutory cap. The amount will be calculated as a percentage of the damages received. A DBA only covers payments between a client and their legal representative and does not cover any liabilities for adverse costs to the other side were they to lose. 58 While there was a concern to limit the number of claims on the introduction of the opt-out scheme, there have been suggestions that the prohibition of DBAs would stifle the incentive to litigate given the significant costs involved in class actions (Bolster, The structure and funding of competition claims post-Jackson – ‘All change’ or ‘Status Quo’  Comp. Law 202). Moreover, there appears to be an unexplained inconsistency given that the DBA restriction does not apply to opt-in actions (Simor, Gibson et al. (2015) UK Competition Law – The New Framework, Oxford University Press p. 205). 59 Markt & Co Ltd v. Knight Steamship Co Ltd  2 KB 1021. 60 Independiente Ltd v. Music Trading On-Line (HK) Ltd  EWHC 470 (Ch.). 61 With regards to the measure of damages for claims brought under Section 90 FSMA, a claimant is entitled to compensation for damages to cover loss suffered as a result of the misstatement or omission. FSMA, however, does not detail the measure of damages, nor is this subject to any direct authority. 63 Rule 93(1)(a), CAT Rules 2015. 64 Section 47C(6), CA. Criticisms have been levied at such a system that requires not all victims to exercise their rights to ensure the funder’s effective repayment: A. Higgins and A. Zuckerman, Class actions come to England – more access to justice and more of a compensation culture, but they are superior to the alternatives  CJQ 1. In turn, questions have been raised regarding the potential for conflict between funders and representatives on the one hand, and claimants on the other. The government was concerned about this and initially considered not allowing law firms or third parties to act as representatives. While this provision was removed from the final draft, the CAT Guide paragraph 6.30 states that ‘conflict between the interests of a law firm or third party funder and the interests of the class member may mean that such a body is unsuitable to act as a class representative’. Given the potential conflict of interest in a conceivably large proportion of claims, it awaits to be seen what influence this guidance has on the CAT’s determinations in certification hearings. 68 However, the likelihood that this covers all potential claimants is still limited. 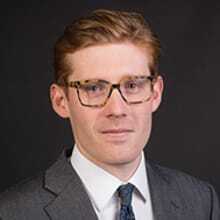 69 Lawne, ‘Private enforcement and collective redress: a claimant perspective on the proposed BIS reforms’  Comp Law 171. 72 561 U.S. 247 (2010). 73 ‘Foreign-cubed’ claims, at issue in Morrison, were those made by non-US investors against non-US issuers to recover losses from purchases on non-US securities exchanges. 74 For instance, Section 90A FSMA implemented EU Directive 2004/109/EC. 75 For instance, a domestication of the Rome II Regulation (Regulation (EC) No. 864/2007). 76 For instance, Section 15A, Private International Law (Miscellaneous Provisions) Act 1995.